It has been a great summer for me and all the hard work has paid off. I spent the 4 weeks after India, in the mountains of Snowdonia. I was climbing, mountaineering and getting to know the place as best I could. 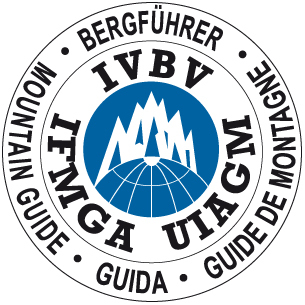 My final week there I was assessed as part of the IFMGA Guide Scheme and happy to report that I passed this first step. A massive thanks goes out to my clients I had this season, all the other candidates on the scheme and all my climbing partners and those willing to come out on the wettest of days. Couldn't have done it without you! Now I can look forward to the winter aspect of the British Guides Scheme, another training course followed by a 6 day assessment! Is it winter yet? The past month seems to have flown by, I suspect it has something to do with the fact the weather has been so good and I have been so busy. I we flick back to my last post where I was on Skye in the sunshine, this post picks up from there. I stayed on Skye and worked with Nick Carter and we took 8 keen walkers onto the South End of the Cuillin. We could tell the weather was on the turn from last week but we had a dry day with some great views and good craic. I was working for Moran Mountain. The next week started with a 4 day Munro course for West Coast Mountain Guides and this time I was working with Ken Applegate. The weekend saw the change of the weather and this week we didn't get a view from any summit. Despite poor conditions, we all dug deep and completed all the Munro's on the Cuillin, spurred on by some enthusiastic members of the group. Our final decent marked the end of my two weeks on the misty Isle. I packed up, fixed up and made my way south to Wales. So as I arrived in Wales on Sunday, I went straight to the sea cliffs of Gogarth and climbed 4 routes to shake off my mountaineering legs and get the forearms working. The following 4 days were spent on my second training course in my advance to become a BMG based at Plas Y Brenin. We worked with Martin Chester and a host of local Guides to develop our personal skills, our coaching processes and looked into the psychology of guiding which was very interesting. We had guest speakers and a great deal of input from everyone involved. After the 'Rock 2' course I was straight into work with regular client and all round good guy Sean. Luck was on our side. The weather was to hold. The mountains were dry, a nice cool breeze and we both had heaps of enthusiasm. Day one we had a great day linking up five classic scrambles in Ogwen. Day two we we did a couple of laps on the East face of Tryfan, one up and down in the dry and another up and down in the rain. But 4 great routes. Our final day was bone dry again so we romped into Ampitheatre Buttress on Creig yr Ysfa and took pole positions. This was a fantastic finale to a brilliant 3 days. I'm not sure how much mileage we made but everyday was oozing with fantastic climbing and locations. After 3 days of work I have just come back from 5 days of personal climbing around North Wales with a whole host of friends. I was super keen for some mileage, so I climbed at 7 different crags in Llanberis Pass, had a day at Clogwyn Bu'r Arddu (Cloggy) and a day at Rhoscolyn. Its been such a good week and currently on my way back to Scotland via the Lakes for a couple of days. I think this summer is going to be great! Last week I had a quick hit in North Wales to get some mileage on the rock. This spring/summer has been very wet and I have struggled to get much mileage on my days off. Days in Llanberis Pass, Tremadog, Gogarth, The Orm and Devils Gorge meant a great few days climbing, getting pumped and hanging out with some cool people. Back to work today and I was out with Alan (also a cool person) again who was keen to kick start his rock season, find out what level he is at compared with last year. We went out to Ardnamurchan ring crags and climbed 9 pitches from upto HVS. There was blood, sweat and dehydration but still a great day on a brilliant crag. Big Al and Ruraidh were there too with Nathan so a good sociable day but none of them are as cool as Alan and I...obviously! I have just been down in Wales for a spot of climbing as I had some work cancelled. It was a bit of a blessing in disguise as it was fantastic weather. I met up with Donald for the first two days for a few classics which I have never done before. First day we went to Tremadog. I have only really worked here, only on two other occasions have I done any personal climbing. So we went to Craig Pant Ifan warmed up on the hardest E1 I have ever done...Barbarian! Brutal! Then went onto the hardest E2 I have ever done...Pinchusion! Also brutal! Donald then led up Falcon (E1 5b) which to be fair was no pushover! Despite the time we were keen for another route so we climbed Valor (E2 5c). This turned out to be reasonable for the grade I thought. I dont know if I was just being weak but all the routes today felt haaard! Day 2, Donald and I went down to Rhoscolyn. A crag I have not visited and it was brilliant. A stroll along the top was the closest I had been a few years ago. We warmed up with Donald leading up The Wild Rover (E1 5b) and then I dispatched the amazing classic The Sun (E3 5c). Aptly named route as it was beating down on us all day. After this great line we then climbed The Mask of Red Death (E3 5c) which was a great route with 2 nice cruxy pitches. Temps were still high so lots of chalk was used but it didn't take anything away from the brilliant climbing. It was a brilliant day and plenty to come back to. Day 3 was climbing with Dave. We were keen for some Gogarth action as I haven't been here much and Dave had a good route in mind. The route may well have been in the hottest place in Wales. It was baking on Red Walls, the abseil in was hot work! Dave dispatched Heart of Gold (E5 6a) as it is a little above my leading grade but was fantastic to second. Amazing climbing and never desperate (I did have a top rope remember!). The gear was fiddly (for Dave) so if i had led it I would have got pumped out of my mind and definitely fallen off. A brilliant day on an amazing crag. Day 4 and everyone was psyched. Dave, Donald and I all headed back to Rhoscolyn where we all had our routes in mind. Donald had a sore ankle so didnt want to lead so I started off on a HVS called Fanfare to warm us up. I then led up the classic line of Centrefold (E3 5c). What an amazing route. Well protected and wild situation, well good fun! Obviously Dave wasn't pumped so he amazingly dispatched The Jub-Jub bird (E6 6b) whilst Donald and I were in awe. When he topped out Donald and I had a raised eyebrow smile to each other and got psyched. I was amazed I managed to hold on through the steep ground, power screaming my way through and eventually arriving at the resting ledge...the skin of my teeth. An amazing day and one of the best I have had in Wales. Ace company, ace climbing, ace location and such a good laugh.